Preview images for Arrow's 150th episode "Emerald Archer"
The episode airs February 4. Here’s how they describe it; the photos follow below. Some of the photos within are behind the scenes shots and a picture of “OTA” Stephen Amell, Emily Bett Rickards, and David Ramsey with a special Episode 150 cake! 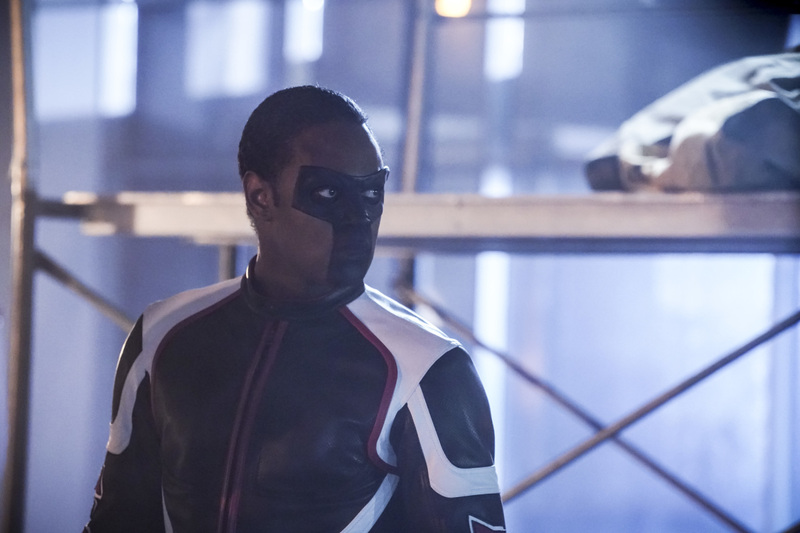 Arrow -- "Emerald Archer" -- Image Number: AR712B_0453b -- Pictured: Echo Kellum as Curtis Holt/Mr. Terrific -- Photo: Shane Harvey/The CW -- ÃÂ© 2019 The CW Network, LLC. All Rights Reserved.